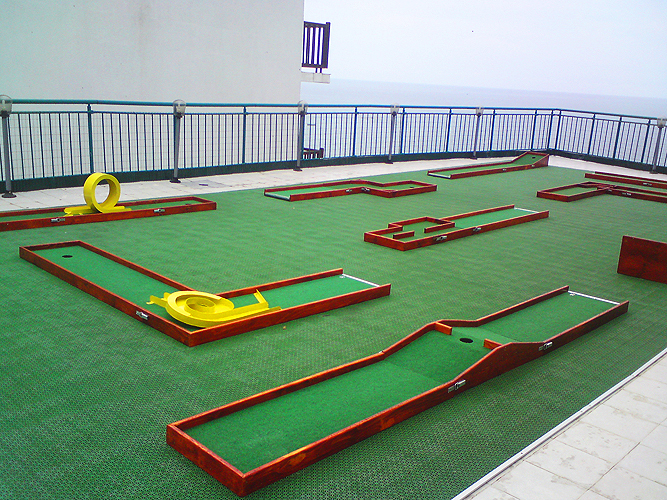 The miniature golf experience should be a family orientated experience that provides players of all ages and levels an enjoyable and fun experience. 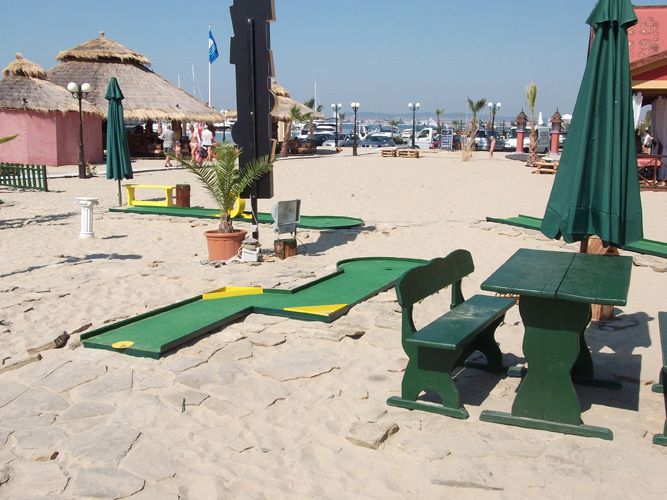 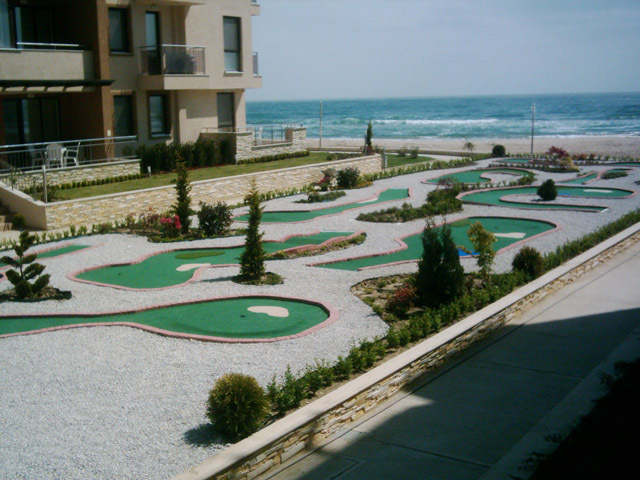 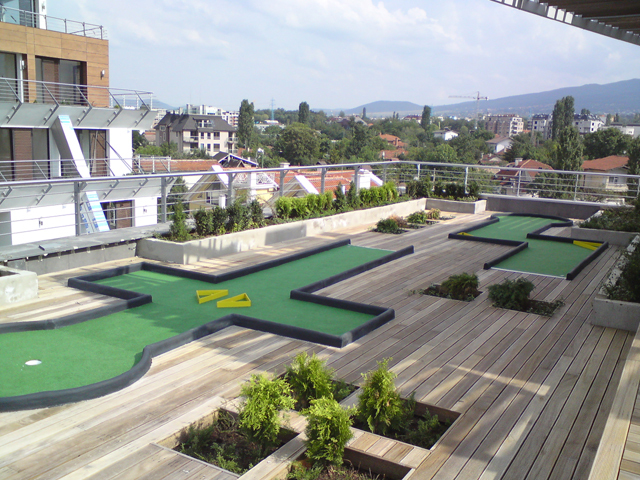 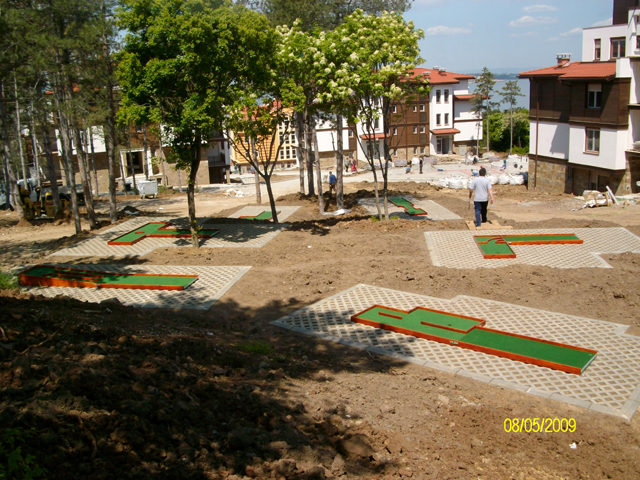 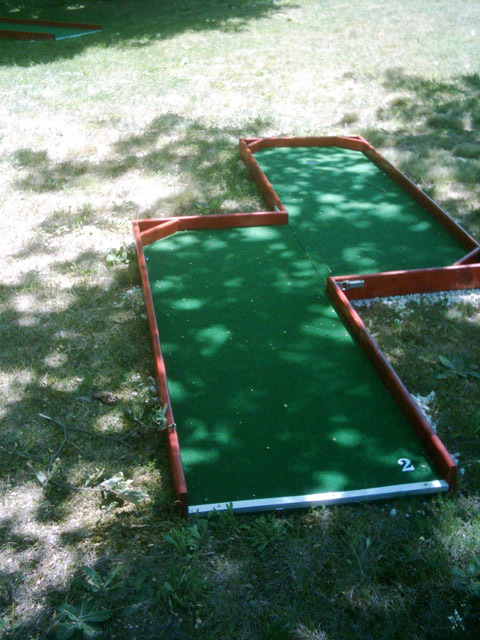 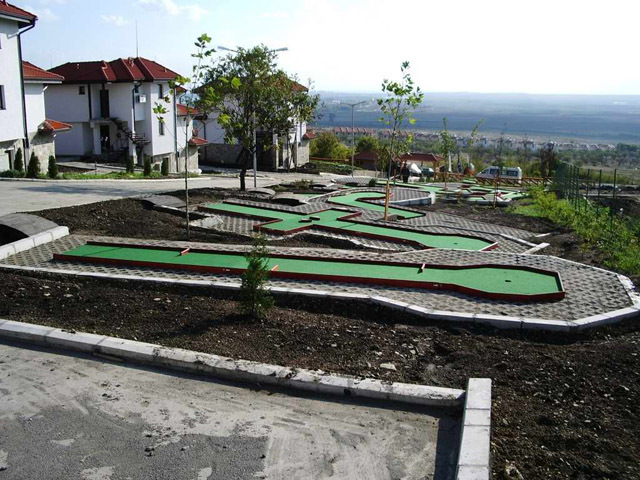 A miniature golf course should be constructed and designed with profitability in mind. 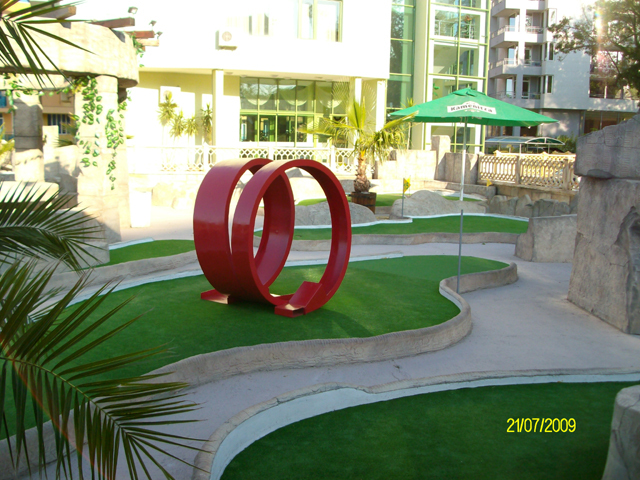 In order to achieve maximum return on investment one must make certain the course is built with timeless beauty in mind. 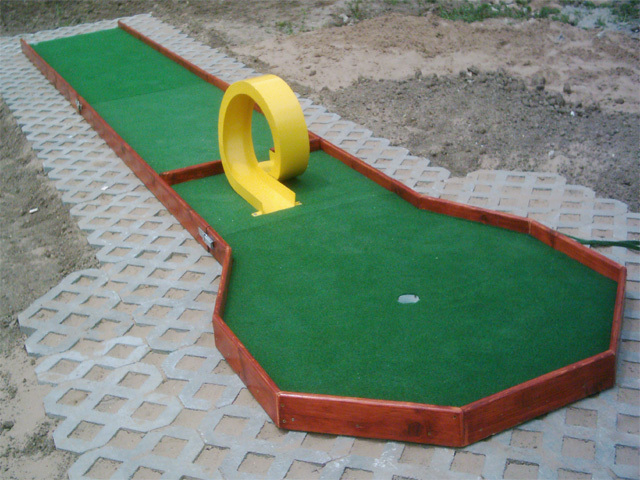 Obstacles and themeing tend to lose their flare and effectiveness quickly in terms of repeat customers. 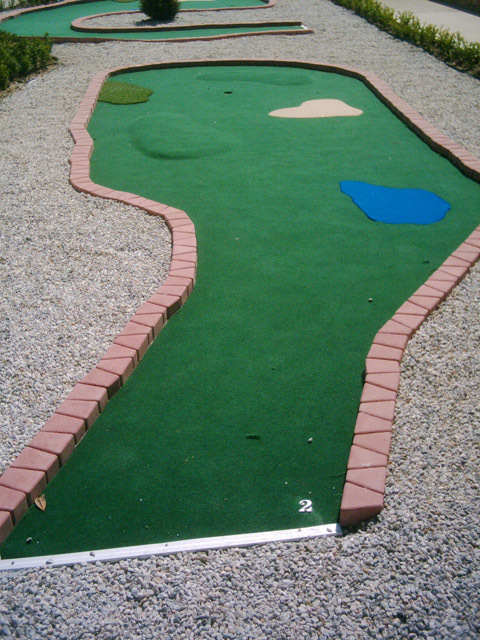 By incorporating water features, beautiful landscaping, and carefully contoured holes you will offer a course that people will want to play time and time again without becoming tired of your course. 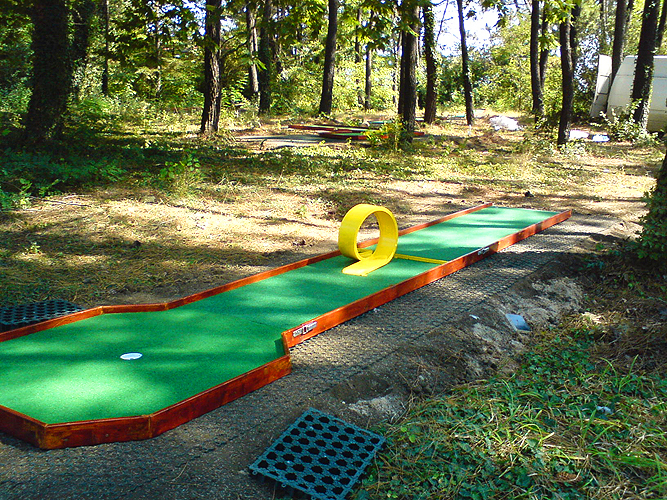 The overall course layout should be challenging to your patrons yet not frustrating. 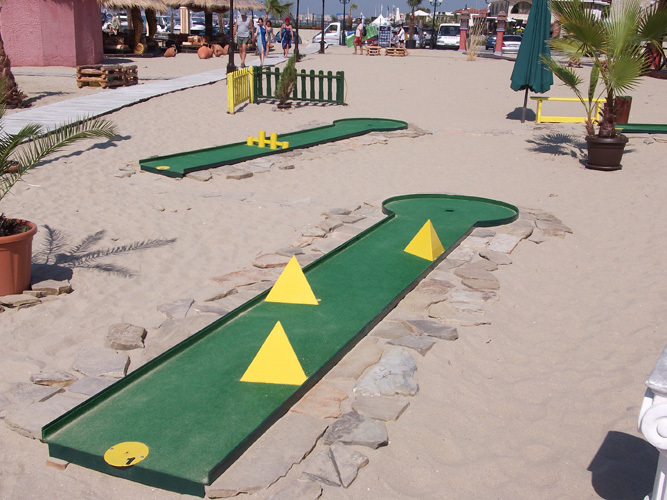 You want to make certain that players of all levels will have fun and be challenged. 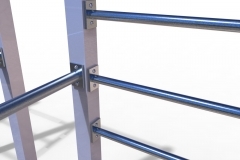 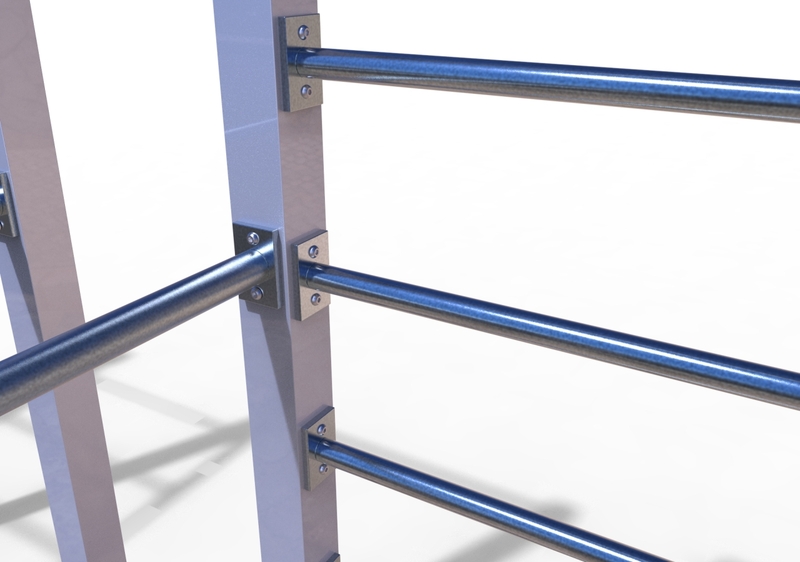 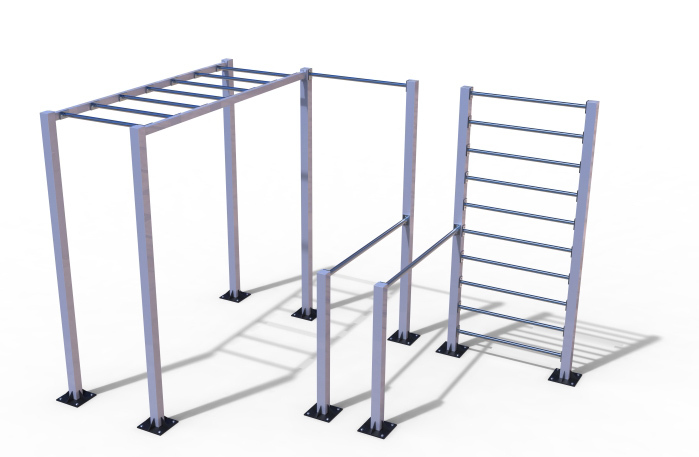 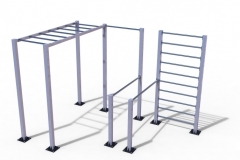 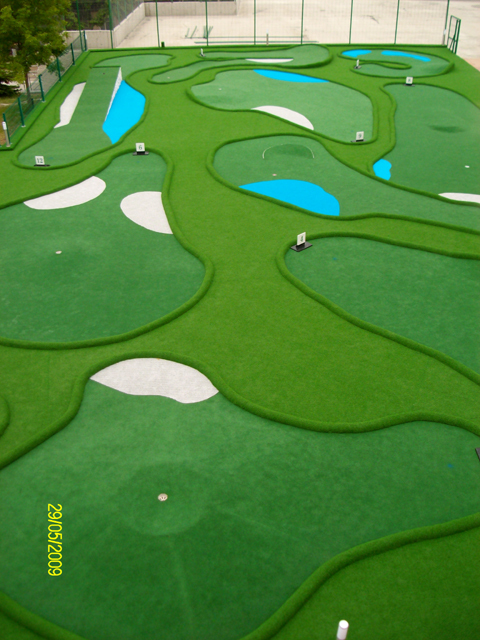 A course that is too difficult will discourage customers from returning to your facility. 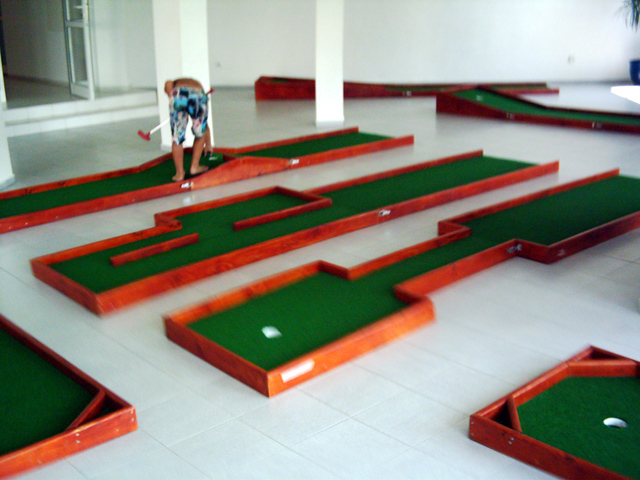 The flow of the course should be constructed in a way that good putts are rewarded and bad putts place the player at a disadvantage but do not penalize the player. 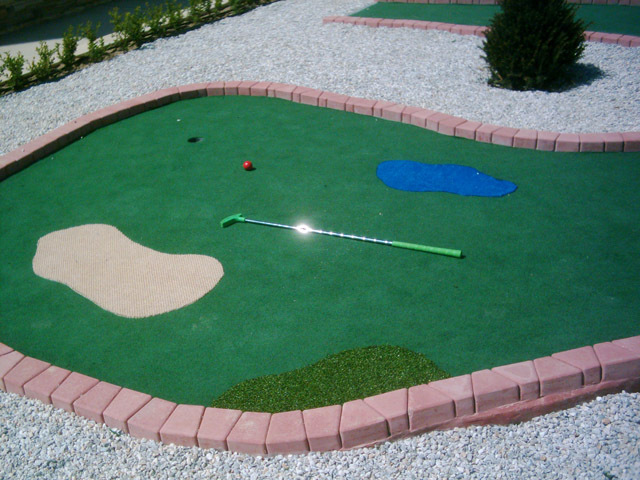 Water is a critical element to consider when building a miniature golf course. 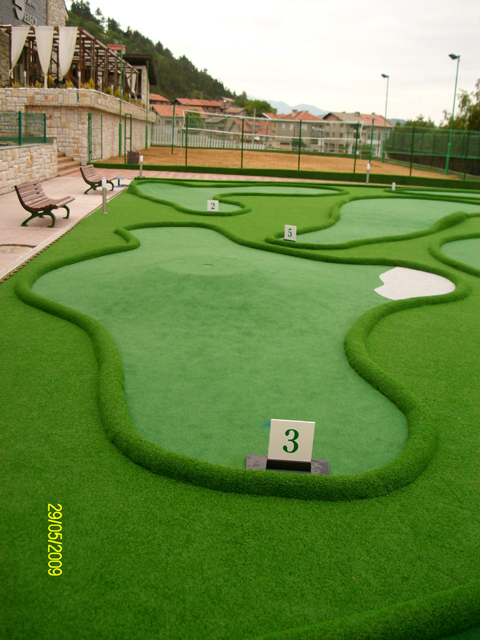 Water positioned properly on a miniature golf course adds excitement and flare to a course. 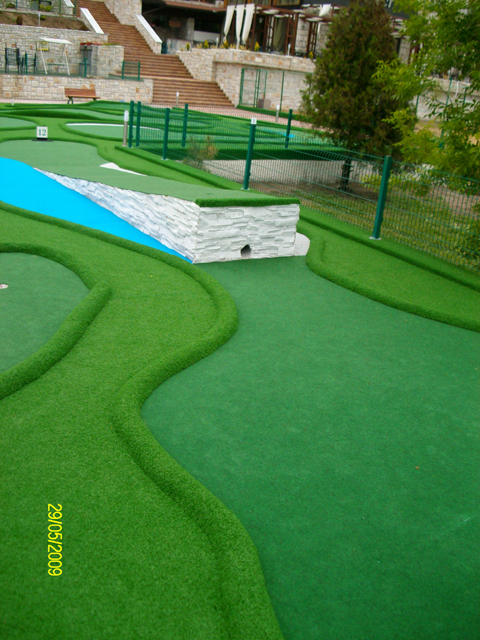 It is aesthetically pleasing to the eyes and the background sound of water flowing throughout the course is appealing to the ears. 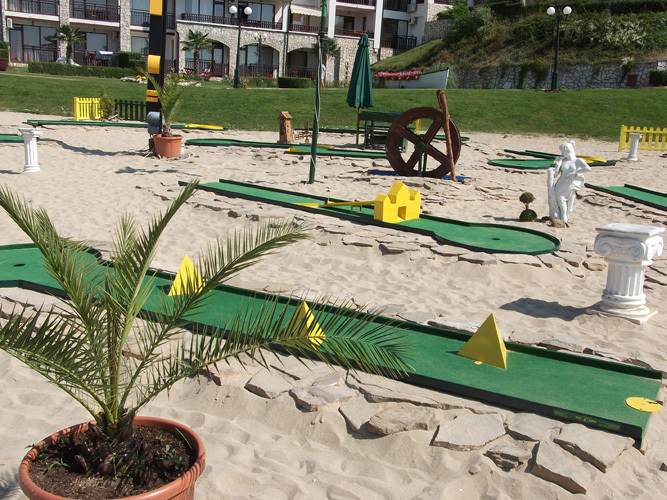 Water has the capability of attracting customers from a distance, keeps children entertained when they have to retrieve their lost ball, and if properly positioned it makes the playability of the holes more challenging. 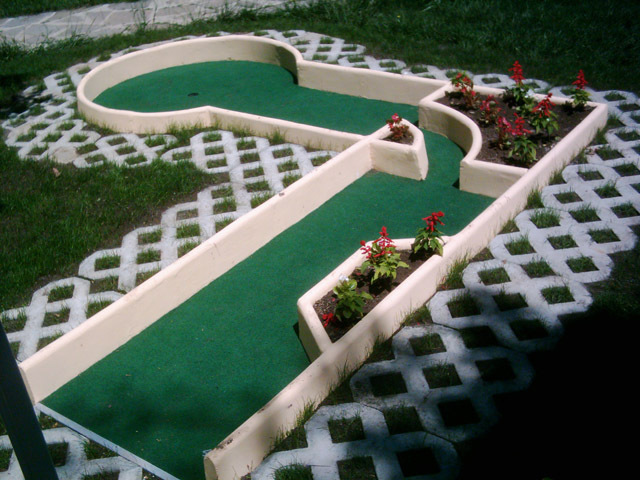 It is important to utilize your space effectively. 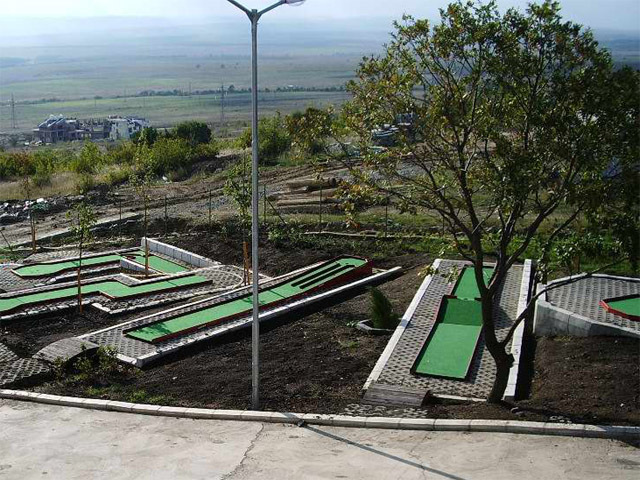 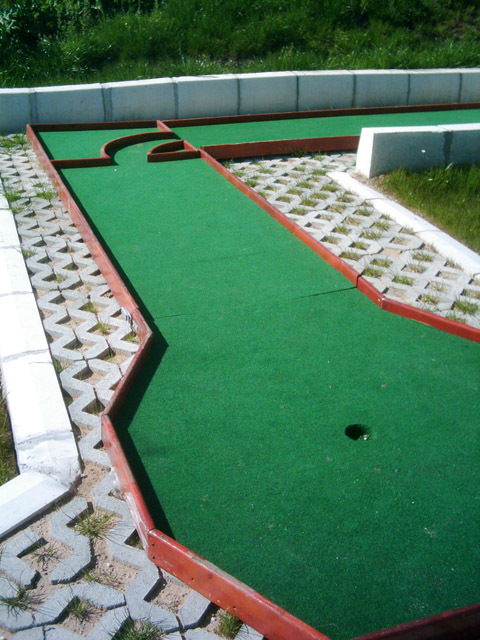 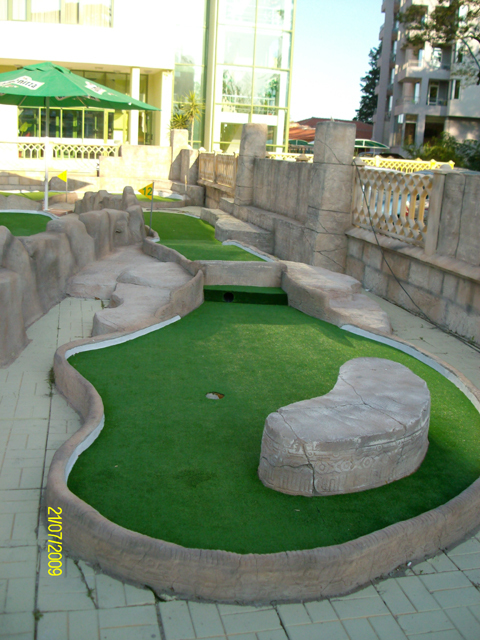 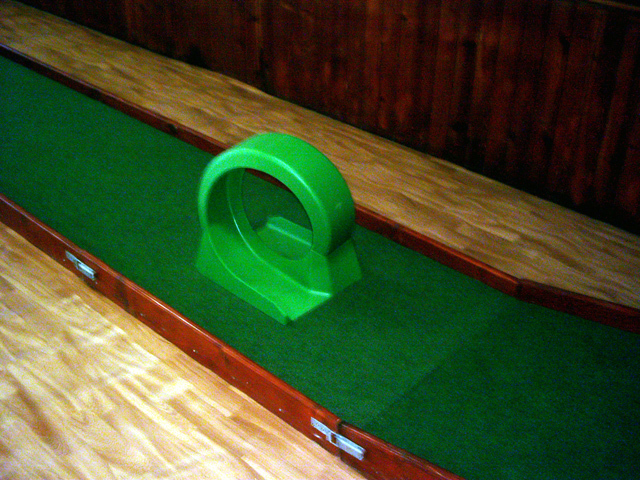 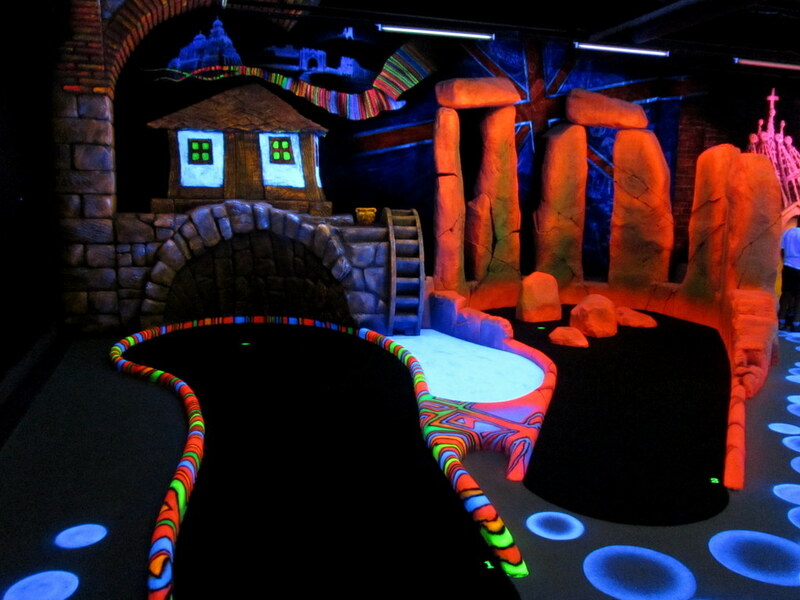 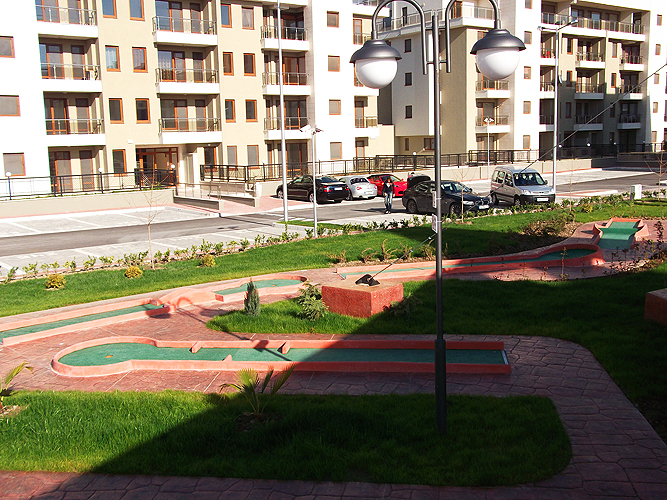 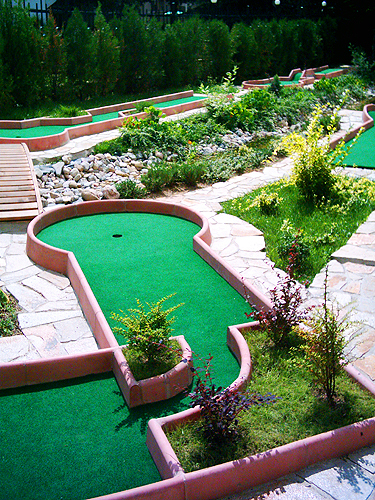 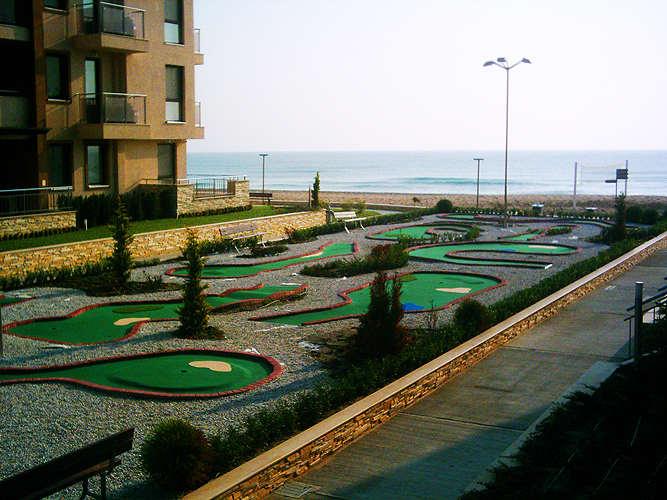 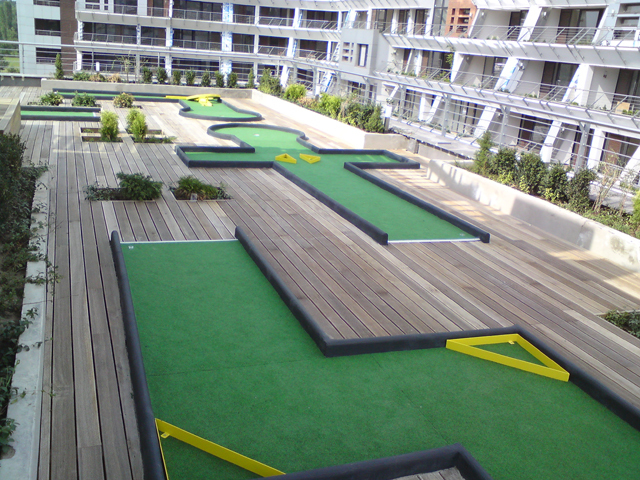 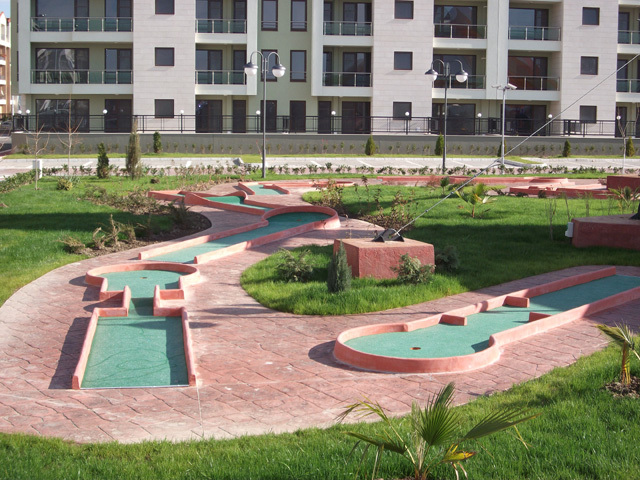 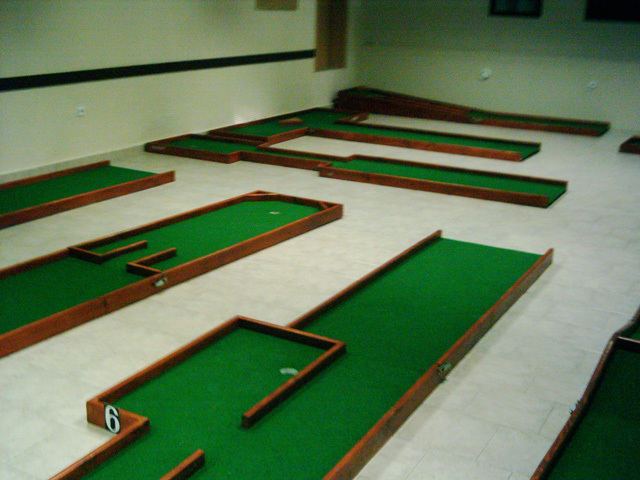 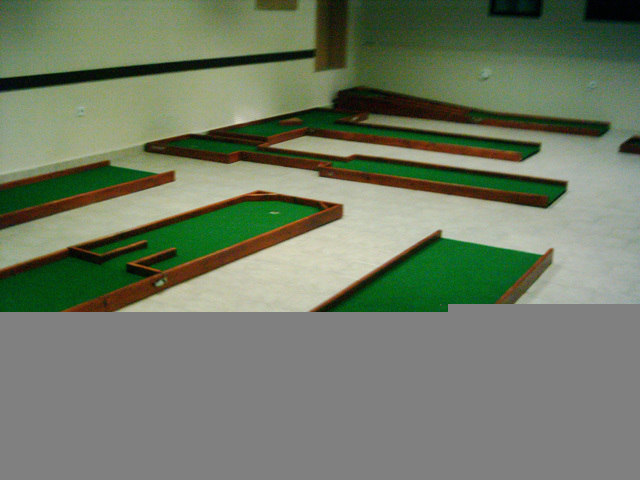 Elevation throughout the course is the key in providing a memorable miniature golf experience. 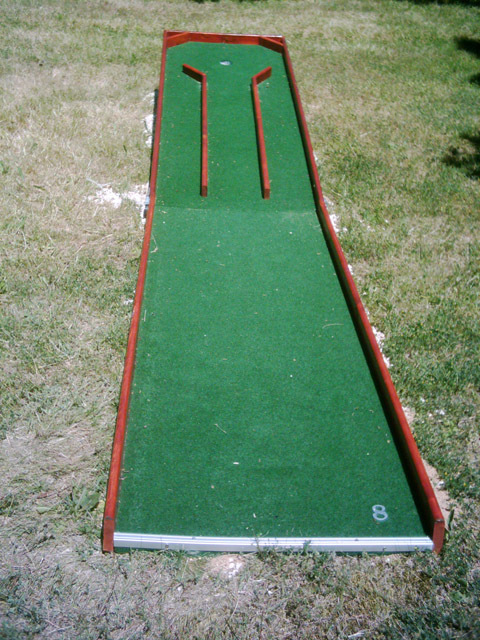 Elevation not only provides a different and unique experience at each hole but also provides increased visibility for people passing by your facility that may not be aware you offer miniature golf. 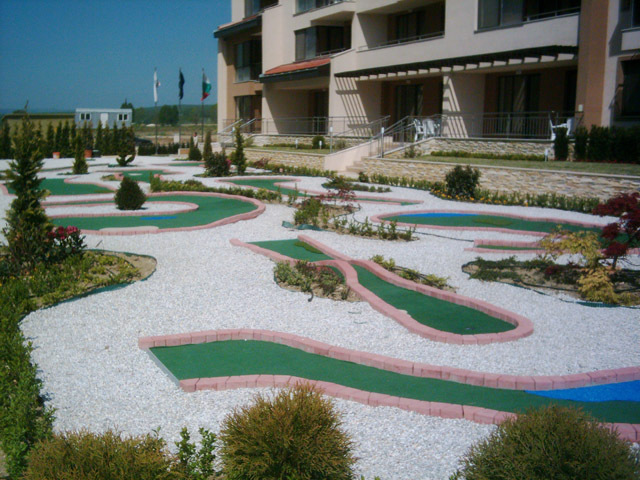 The ultimate objective is to provide customers with a new, surprising, unique and challenging experience at each and every hole.